The truth is out there and Professor Stephen Hawking wants to find it. The world famous physicist called a press conference today in London, alongside Russian billionaire Yuri Milner, to announce their new £64m ($100m) project to search for intelligent extra-terrestrial life. ‘Breakthrough Listen’ is said to be the biggest venture to date in support of the search for alien life, and the 10-year effort will listen for broadcast signals from a million of the stars closest to Earth. We believe that life arose spontaneously on Earth. So in an infinite universe, there must be other occurrences of life. Somewhere in the cosmos, perhaps, intelligent life may be watching these lights of ours, aware of what they mean. Or do our lights wander a lifeless cosmos – unseen beacons, announcing that here, on one rock, the Universe discovered its existence. Either way, there is no bigger question. It’s time to commit to finding the answer – to search for life beyond Earth. We are alive. We are intelligent. We must know. 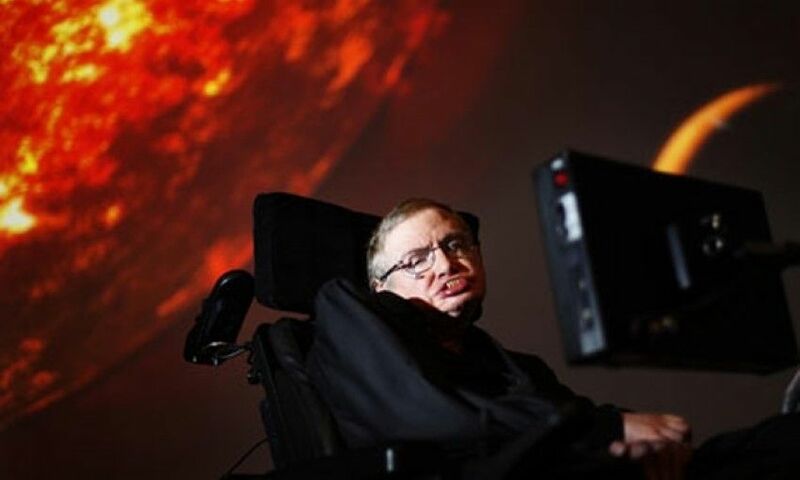 Hawking added that he believes the search is one of humanity’s most important scientific endeavours. Those behind the initiative claim it is the biggest scientific search ever undertaken for signs of intelligent life beyond Earth. The team plan to cover 10 times more of the sky than previous programmes and scan five times more of the radio spectrum, 100 times faster. The public will also be invited to participate in efforts to find a signal from another world through the [email protected] project. Current technology gives us a real chance to answer one of humanity’s biggest questions: Are we alone?